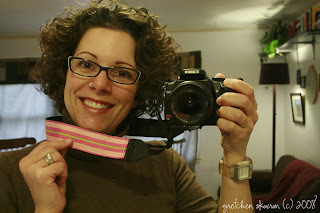 CocktailMom: Pimpin' my camera strap! 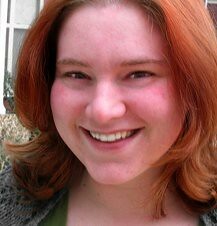 I love my new DSLR camera but what I don't love is the tacky Canon advertising strap around my neck. I had to give my camera a makeover. I bought this ribbon ages ago at this cute trim shop in the fashion district in NYC with hopes of making a belt. Well that never happened! I took the strap off the camera and simple stitched the ribbon on turning the ends under. So simple. And now my camera is fashionable. That is way cute! I just recently hung some picture frames with ribbon and was so impressed with myself...ribbon solves a lot! I actually have a new bag that I love but it doesn't have a shoulder strap. I was hoping to sew one on but that might be beyond my sewing skills? I wasn't sure how to do that since it doesn't come with strap parts already on there (like your camera strap). Tricky! What a good idea! I've seen a ton of cute SLR straps on Etsy, and have been tempted to buy one.. but this an even better idea!